The startup investment landscape is changing and world class companies are being built outside of Silicon Valley. We find them, talk with them, and discuss the upside of investing in them. Welcome to upside. Hello. Hello, hello and welcome to the upside podcast where we are finding upside outside of Silicon Valley. I’m Eric Hornung and I’m accompanied by my co host, Mr. Live-in-person himself, Jay Clouse. Jay, how’s it going man? What’s up man? We are within literal feet of one another. This never happens. We’re in the same room. Our guest today is going to be in the same room as us coming at you live from the Columbus podcast festival. I’m excited about this one. I am stoked we are bringing it face to face for the first time here on the upside podcast and I’m just jazzed, but for those who don’t know about the upside podcast, Jay, why are we here? Well, Eric, we are here to talk to founders outside of Silicon Valley. Upside is a podcast about those founders and the businesses they’re building because we fundamentally believe it’s a wonderful time to build world class companies outside of Silicon Valley for a lot of reasons, but this show focuses a lot on the founders who we believe to be very intelligent opportunity seeking capital efficient individuals, so our show highlights them as well as the opportunities they’re building here outside of Silicon Valley. Did I miss anything? Well, I just think that we want to outline how we’re going to do that. Our show follows a three part format. The first part is some market research, some company research that Jay and I do, and we’re going to walk through that to set the table for you as we head into part two, which is the interview, and finally we’re going to dive into what we call a verbal deal memo or a debrief and we’ll explain a little bit more on what that is later. Jay, who are we talking to you today? Today we’re talking to a good friend of mine, Corbett Morgan Corbett is the CEO of Loop Returns. Looper turns is a online returns and exchanges app on shopify for ecommerce companies. Previous to Loop Returns. He was a product manager for Klarna North America specifically. Klarna is a Swedish company, but he was part of the team, bring it to North America and Loop Returns is part of ecommerce and retail, a little bit of an ecommerce and retail blitz we’ve been doing here lately on the Pod, the ecommerce and retail blitz. Love it. You may hear me refer to Corbett as Corey throughout the podcast. He goes by Corey a lot, loop returns, a little bit more background on them. They were founded in 2017 here in Columbus, Ohio. They’ve raised $500,000 in funding to this point from mainsail partners. Burch creative capital bridge scale in Nat Yvonne capital partners, if I’m saying that correctly, we’ve got some interesting points of data here. Eric, do you want to kick us off with some of the research that you’ve found on loop returns or the industry? Yeah, so when we look at market size, it’s kind of a tough thing to pin down because the market is returns and exchanges so that data is inherently not captured anywhere, but if you look at online retailers, the average guests around the industries that between 25 and 40 percent of all purchases are returned. So if we look at overall market for total ecommerce in the United States, which is about $400,000,000,000 and we just take a third of that, or let’s take a quarter because the math teacher, and I know that Jay is a big math guy now, let’s say that the market then is about a hundred billion dollar market of gross merchandise value that’s going through the system. I think that’s a fair way to look at it. Jay, have you done any additional research into kind of the market trends space? Definitely. So as you and I have become more and more educated throughout this ecommerce and retail blitz blitz, we have gotten a pattern of feedback that returns exchanges is just a monster of a problem in the ecommerce space. When we spoke with web recently, he mentioned that returns are one of the top expenditures for any ecommerce company and if you can reduce returns five to 10 percent, you’re saving hundreds of thousands of dollars at scale for these large companies. So another trend line that I saw was there was a contributor for Forbes, Steve Dennis, who is formerly an executive at Neiman Marcus. He was saying that they were worried about returns quite a bit and just like you said, that 25 to 40 percent even the previous world of retail before there was an ecommerce land’s end, Victoria secret and Neiman Marcus, we’re experiencing return rates of over 30 percent when it was just catalogs and so what you see now is with players, mostly Amazon coming into the space and really making customer service the center of what they’re trying to offer. It’s forcing these ecommerce companies to really offer returns and exchanges as a free service and that pressure, that pressure to have that customer experience is a very expensive thing to do because what you find as an ecommerce customer, these customers are buying multiples of one item just because they’re not sure their size. They know they can return them for free and so that cost the system having to ship something to a customer and then facilitate the return of several items as a free service to that customer becomes very, very costly. so when we look at the competitors in the space, it’s obviously a big problem, so we expect there to be a lot of competitors and we looked just at direct competitors for loop returns. We find that there are dozens when you search returns as in terms of applications on the shopify APP store, but big problems are going to have a lot of competitors and we’re looking forward to hearing about what loop returns is doing to differentiate themselves in a crowded space. What you also see on that platform on shopify, you see a lot of these competitors are offering a free product and loop returns is charging $99 per month, so it’s clear to me that even as just a positioning exercise, they’re really trying to differentiate themselves as a premium partner in the returns market for shopify ecommerce companies. Well, are you ready to jump into this premium interview? I’m ready. Let’s do it. Alright. This is the live recording of upside first live recording we’ve ever done. We’re joined here by Corbett Morgan, the CEO of loop returns, Corbett, welcome to the show. Thanks for having me guys and thank you Columbus for for having this event. This is really cool. Yeah, shout out to Columbus. I like to start with, I call you corey and I know a lot of people call you corey. Can you give us the story behind the Corey versus Corbett decision? It only took a few years of elementary school of teachers mispronouncing my name for me to find something that was simpler. Corey was such a prominent name in the eighties, Korean Topanga, Corey Hart, so shortened to Corey, moved away kind of in my professional life. I was out of Columbus for awhile. Corbett is my real name, so went by Corbett, but then moved back to Columbus and there was just mass confusion. People I was working with that had known me from the past, Corey Corbett. So I typically go by Corbett professionally. All my childhood friends know me by Corey. Most of my family calls me Corey. Either one works, whatever’s easiest. Most of your family calls you Corey and they know that they know the truth. Yeah, they know the truth. Best best friends call me Corbett. How did people mispronounced Corbett? Did you get core-bay ? You get silent t’s sometimes. Bit is a core bit is like a pretty. Yeah, it’s just it just confusing. So back when you were Corbett or corey, I’m not really sure when the change happened, but can you just kind of tell us about you and your development and how you kind of came into loop returns? Just give us that little background story. Yeah, coming in, hot off the top. Gosh, where did I first. I feel like when I was a kid I was always thinking about ways to solve things and solve problems. I cared about solving. My first memory of inventing something was a biodegradable trash bag when I was in elementary school and it was just. Yeah, constant ideas. Not really knowing what entrepreneurship was more so just hey, here’s a problem and I want to solve it. Went to Ohio State, actually studied chemical engineering and I don’t even know how I got involved in startups. I mean it wasn’t in BBC. I was on the track team at OSU and that pretty much monopolize my time between that in class, but I had an opportunity to go and work in China for a year and couldn’t, didn’t have eligibility when I came back to school because I wasn’t in school and like, you know, I’ve been working for a year. I don’t want to stop working. What can I leverage this to just keep working and finished class and make some money on the side. So I started working at Fisher College of Business doing research for tech that was developed in the labs. I mean, Osu was making this massive push towards commercialization. They had been historically very, very bad at it. They brought in this guy from Utah who was, who’s really successful at it. Um, there’s a lot happening there. Like, okay, I like solving problems. That seems really interesting. So basically just reading through patent filings and trying to find market applications for some of the tech that was developed at OSU. Did that for a couple of years, ended up in this group with two people that were trying to build startup companies to then spin them out of university and um, that was just, I think as over time constantly pushing to try to get more and more and more in that role as like a student intern. And finally they gave up and we’re like, fine, can work in this group. Like, just stop asking. And that was amazing. So that was like, that’s when the light bulb went on and through high school, through college I also got an econ degree and I’m like, I want to be a venture capitalists. That’s all I thought about and had no idea what that meant. And there was a guy, and this is like, wait, I’m already in this echo chamber of a long windedness, but um, there’s this guy at Osu and in a lot of people in Columbus, no, him. Dan Rockwell, who was just, he is a wild, wild, fantastic, brilliant guy and really calls people. Are we allowed to cuss on this really, really calls people on there? And he’s talking to me. I’m like, yeah, I want to be an investor. He’s like, you don’t even know what that means. Like if you, if you want to do that, you should learn how to build a company. And I, you know, leverage some of these connections I made at Osu, uh, went out to San Francisco, interviewed with a few venture capital funds and, and really was thinking about like clean technology. And I was really passionate about that. Still Am. But the thing that struck me at Osu was I would need to raise $10,000,000, have a killer idea and have way more experience than I do to start a clean tech company. I’ve seen how, not easy but how possible it is to start a software company while at Osu. And I got a few offers in San Francisco but also got feedback from this guy who started a fund there and teaches at Stanford Business school. And he said, Hey, I think you’re smart. I think you could, you know, work in investments, be an associate, but you should really learn how to build a company and it’s an experience that you won’t, you know, if, if you go and do that, you won’t regret it, I promise you. So I’m like, okay, enough data points lining up. I don’t know what company I’m going to start, but I’m just gonna try to start a company. So I jumped into this opportunity sky house from like a startup weekend actually. And it was um, you guys cut me off if I’m going too long. I’m like, I’m really laying it out here. This is great. Keep on going. All right. If I start losing you guys, just say, hey, we’re zoning out, but sky house, it was called lighthouse at that startup weekend. It was this idea of a location based file sharing and really targeted at conferences, convention centers. You can share files with attendees, like, okay, this is cool one startup weekend, like I gotta learn how to maybe get this from a to b while working at Osu. So the guy who had started that was leaving and taking a full time job in San Francisco, I think it’s Cisco and wasn’t really interested in running with it. So I’m like, what the hell, let’s let’s, let’s go for it. And there are still a couple of people from that startup weekend team working on it and we’re passionate about it. Starting something with a team and that’s something I’ve learned in the last few years. Having a team instead of just going at something and then trying to assemble a team that makes any sense. If you can start with a talented team, always go that route because you need it. It’s also pretty rare for a team to continue after startup weekend. Yeah. The global rate is 12 percent globally. Twelve percent of teams will continue. We also have that start. Yeah. Startup weekend guru here. Jay, maybe for the audience or people who aren’t familiar with startup weekend, can you give a quick 15, 22nd pitch on what that is? Yep, Startup weekend is a 54 hour event for individuals to learn how to conceptualize, validate, and build a startup company. And you do it from Friday evening all through basically Sunday afternoon at which point you pitch an mvp to the judges and they choose some winters, but it’s really meant to be a microcosm of experiential education into entrepreneurship. So yeah, it was, was was that startup weekend, saw the idea, went and talked to the Columbus blue jackets as a first customer and like really quickly saw this opportunity to basically use a back end like file uploads, cms to build mobile applications for events. Any, anything that has like a transient audience. So I don’t need a blue jackets app on my phone all the time. What is like an experiential in the moment at the game, you know, what content can I have in the palm of my hand that is meaningful. And this was 2013. So building a mobile app was still really expensive. Like if the blue jackets wanted to build an APP, it’s going to cost them $100,000. And we went and said, you know, the light bulb went on and it’s like wow. Ultimately all these apps are just some native IOS functionality that is shared across all these apps and then like a file at the end of a nested structure and and that conversation that I was at the Chicago, I forget the exact museum, but I was at a museum in Chicago with my girlfriend and downloaded their app. My cousin worked at the museum. I asked her how much they paid for it and she said $175,000 and they have to go back to the developers to get it updated and it costs a ton of money and all it was was just designed file folder structure with a pdf at the end. It’s like, okay, there’s something here. So we went to Osu, then they became our first customers, so the athletic department raised a little bit of money from some angel investors in Columbus, which I’d like to talk about the value and importance of that later on. Having people that are willing to do that. Launched it with Ohio state football and really the idea was we’d crawl for content, have relevant content wherever you go. If you open the APP, you know basically Geo fence locations can do that programmatically from some of the data that exists and then pull social data, other data from the web to say, okay, here I’m at short north stage. We could get some data in front of you and then sell locations, businesses, concert halls, the ability to build out their own mobile application. I want to. I want to fast forward a little bit. Yeah. This is all great context. What, what kind of ended that opportunity and what sparked the next thing? Yep. Brand with it for a year. Pivoted ones. Failed. Very, very, very painful, but learned a hell of a lot. Went and worked with David Sherry at that the stock, so it was kind of like learn mobile, learning how to do a startup, learned sas, and then made the jump to Klarna, which is an ecommerce company. Didn’t really know anything about ecommerce before that or payments. Worked in Stockholm for Klarna for seven months. Built a product for Klarna to launch one of their payment methods in the US. It was called try before you buy. So this was really. I segwaying in, so gosh, I could talk about Sky House for two hours. I’ve never had a chance to know its weird postmortem. I’ve never done a postmortem on sky house. Take me out for beers sometime j because I obviously need to talk about that. Yeah, I didn’t know ecommerce. Just got really deep into payments, learn a ton about payments and Klarna essentially had this payment option in Europe where you could. They could, they would call it pay after delivery. I could order things. Klarna would pay the merchant upfront and then you would settle with Klarna. Fourteen days later, invoice before ecommerce was an established payment way of paying in Sweden. ECOMMERCE comes out. Now there’s a digital version of it. It just went crazy. He had most merchants are using Klarna in Sweden now. Expanded that through Europe. They said, hey, we need to expand to the US. We’re going to launch invoice in the US as a payment method. Nobody understood what the heck it was, so that was my first task. Hey, how do we tailor this for the US? Interviewed hundreds of customers in the US and found that probably the major pain point or the major pain point when shopping online is not being able to see or try products before you pay for them. So it wasn’t anything to do with the need for, you know, the Klarna pay after the fact. People weren’t worried about that. They’re fine with paying right up front, but they just didn’t know how to actually try the products or know that the product is going to work for them. Yup. There was this idea of float as well, so you need to order three sizes, try them all on, then send to back and wait 30 days for your refund. So there is some value in just the structure of that payment method. So we reskinned it, called try before you buy, tested it and production in front of customers saw 440 percent increase in take rate of the payment option and checkout. So that was a big wow moment for us. Can you define the take rate? What do you mean by take rate? Sure. So up until recently, payment options have been limited for customers and online, it’s, it’s in the US at least it was like paypal and credit card and even PayPal there assuming some risk, but you’re still paying with credit card. So now there’s a third option and it was called Pay After delivery for Klarna. So a customer goes to checkout and there are three options to pay credit card, paypal try before you buy it with, you know, some, some context of what try before you buy is. So the overall conversion of somebody clicking one of those buttons increased 440 percent. Yeah and specifically the tribal for you by the Klarna option. So I got really excited about that and I came back to the US and we were talking with Jack threads. Now out of business made a really bold move way ahead of its time in my opinion, for trion and their net sales went way up. Their nps went up. What struck me, we were going to take over their payments and risk modeling because at the end of the day you need to do like a soft poll on a customer, learn about them and then say, okay, we want to extend this offering. We want to assume some risk because we believe will be worth it. What struck me JackThreads, their return rate skyrockets. You’re encouraging it, right? That’s part of the value proposition. They’re are shipping. They’re fulfilling orders at a single warehouse. They’re shipping those orders all across the country and then customers are more often than not returning items, shipping them back to that single warehouse and like, and I did the Jack thirds offering, got a prepaid label, slapped it on set when I was sending back, handed it to my mailman. Killer, killer, killer customer experience. Instantly understood they’re going to fail because the reverse logistics cost is so high and the outbound logistics costs and yeah, realized, okay, try before you buy is the best customer experience, but there’s some infrastructure that needs to be built to support this. So Klarna actually said they didn’t want to pursue this in the US try before you buy. They were instead launching like a revolving line of credit offering had really been struggling in the US said we only want to focus on one product and I thought I love this product. I think this is going to win long term in the market. I want to build this on my own. That’s awesome. And so from there you’ve learned a lot of product, you’ve learned a lot of software, you’ve learned this product that you’re personally interested in as far as the returns process. How did you then take that idea and say, did you go pitch it to a different company or did you tell me about the beginning of loop, how you got into loop. Yeah, made a deck for travel for you by Senate to Jonathan Poma if not the person I admire most. One of them, just brilliant guy. Lucky to have him in Columbus, knew him from, you know, met him in college through Nick Sigwen, a guy that seems to have connected everyone, at least me to everyone. That has been a meaningful connection in my life, but made this 10 slide deck and said, here’s how try before you buy is going to work. You work with chubbies, one of these like premier brand merchants. Everyone knows them. If they try a product and it works, everyone else follows. I want you to introduce me to them. I want them to be a Beta customer for try before you buy. Calls me late that night and says, man, this is killer. I believe in it. You need to nail returns and I really want to show you this product we built for chubbies. Pomo runs in agency in ECOMMERCE agency here in Columbus. Got Lunch. Demo the product between the jackthreads interaction, the things I learned at Klarna, just the dots all connected and it really was, you know, not to sound corny, but it felt like a destined opportunity. It just was this huge door that opened and I’m like, okay, I have to walk through this. I have to run through this as quickly as possible. Can you give me a sense of the timeline? What year this was? Yeah, this was January of 2017 rocket code that the ECOMMERCE agency that pomos running had built this software for chubbies about two and a half years ago. It had gotten crazy good results. There was nothing like that existed in the market and he wasn’t quite. He was trying to run rocket code and trying to figure out how to commercialize this and just, yeah, the sequence of experiences. I just knew exactly how we commercialize it and I, I think I brought that insight to the table, so we took the software, spun it out, the three engineers that built it at rocket code basically spun out with the software. We incorporated a new company in April 2017, so about one year ago. Raised a little bit of money to build a shopify integration. And why’d you pick shopify as the first place to go? Yeah. Yeah. So even if an independent of rocket code and shopify would have been the right bet. And I think we, you know, it’d be interesting to talk a little bit about that. Poma is, knows as much about shopify as anybody in the world, and shopify is growing like crazy right now. And Shelby’s is also one of shopify’s early adopter premier brands. And at this point rocket code was growing like over 100 percent per year for John. Rocket Code was growing. Yeah. And that was on the back of the shopify growth. Yep. And then rocket code got acquired last year after you guys were incorporated? That’s right. Yep. Bye. BBA brand value accelerator. That’s right. Yep. So bba is the biggest shopify agency, and we’ll talk about this a little bit more later as well, but if you wanted to build an ecommerce storefront 15 years ago, it would have cost you $200,000 just to even have the get the infrastructure ready, let alone optimized killer customer experience. Platforms have emerged. You can get up for 30 bucks on shopify and have all of the infrastructure on a subscription. But because of that, none of these agents, none of these merchants brands have in house development and engineering. So shopify has done a great job of building an ecosystem of agencies. Third party solution providers connecting them to brands to do all the development work sets. What rocket code did big brands get referred from shopify? They come and say, hey, we really want a subscription box service and rocket code builds. It builds it. So Bda is the biggest agency on shopify acquired rocket code, I’d say more accurately acquired the people at rocket code, John Being one of them. Jonathan Poma had. Now Jonathan is the CEO of Bda, so we still share office space with them. They’re a partner of ours, but yeah, just there’s a lot happening in ecommerce in Columbus that I don’t think a lot of people know about. I keep saying this, but something I’d like to talk about too, and this is shocking. Jay, did you know that ecommerce was invented in Columbus? No idea. How is that like an l brands thing? Uh, it’s a compuserve thing. Yeah. It’s kind of history of ecommerce. I think it would be interesting to talk about if we have time. Jay and I right now are on what we’re calling our ecommerce blitz because we’re doing like three. Is it three e commerce companies kind of in a row you building on shopify? Are we building on shopify? No, sorry. We’re not blitzing to build a company where we’re blitzing on upside talking with companies in the ECOMMERCE. Amazing. Okay. Is this the kickoff? No, but sometimes the, the non kickoff might be the best place to get a little bit of history. So maybe we could jump a little bit into the history of ecommerce. I think that would be fascinating. And then I want to get to where Loop is today. Right before we hit that, can I have one closing question here on this spin out? So you guys incorporated, what does that look like for your structure of loop with Vva or rocket code? Are you guys like a holy subsidiary company? Yeah, so I think something really important in building a company is the people building the company need to have ownership in the company, especially in the early stages when you need to be scrappy and you don’t see light at the end of the tunnel. So Loop was not part of the transaction for Bba, but the former operators of rocket code are a partner still and loop chubbies, you know, spent a lot of money to iterate through the first couple of years with the software also just committed so much time in brainstorming and they, I mean they built this product a derived directly from kind of their pain point, so both rocket code and Chubbies are still partners in the business, but kind of the operators would, and I wouldn’t consider myself a founder of the three engineers are certainly founders, but you know, part of that deal and me agreeing to do this was that we’re operating as founders of this business from like a cap table structure and everything else. So I’m still partners. But yeah, structure was interesting. I will say that. To borrow a term from one of our previous episodes with nick at script drop, you guys kind of started off on second base having chubbies as a customer. Absolutely. Absolutely. Alright. Eric, turnover. Questions about the history of ecommerce? Yeah. I’m actually just really curious because I’ve never heard that e commerce was founded in Columbus and compuserve and Kinda like left a little chrome on the table and I want the whole pie. So let me. Yeah, and it’s not, it’s no bs. Like ecommerce was invented in Columbus, Ohio. Nineteen 84. Compuserve launched the electronic mall and this was before, I mean this was before the really the Internet and Netscape and browsers and all that good stuff that if that is facilitate us getting to where we are today, but they would allow you to shop from 110 different brands through an electronic mall. And I think really the, the history of ecommerce goes in parallel with the history of the Internet Edi. You’re able to transfer data, ETF, you’re able to transfer funds, you have the really the big, big moment and those are like infrastructural things for the Internet. But the big moment was, was netscape 1994 with Netscape, have SSL, which allows, you know, customer data to be encrypted. And that, I mean, that was the, that was the launch point. So, um, you have these security protocols with Netscape, Ssl, http, and 95 to companies then started in 1995. Can you guys guess what they are? Amazon. That’s one bookstore, common cleveland? Now maybe it looks good, but Amazon and Ebay, 1995 then pay pal and 98 payments infrastructure and you know, then we’re just, we’re, we’re in the new age of commerce. What’s happening with commerce right now is fascinating. I think equally fascinating as the information age, the Internet and having the opportunity to zoom out. It just. I was writing an investor update yesterday and kind of thinking about things I wanted to talk about and I thought, man, I feel so fortunate to have the opportunity to work in this space because crazy stuff happening and everything’s changing. And I want to get to kind of the market trends and everything you’re seeing. But before we get too far along, I’d love to kind of dive into what loop returns is today, what the pain point and problem it’s solving is, and just kind of your high level pitch of what loop is. And then we can dig into, we can zoom in, we’ll do a little zooming in, zooming out yet. So probably appropriate to start with the pain points at chubbies from which v one was derived operational overhead and customer experience. I’m sure everyone has gone through kind of the old school returns process. You go to a merchant site, they say, hey, email us, email them, they send you a label, you send that label back to their warehouse, their warehouse then sends them a daily CSV with everything that’s come back that the merchant then reaches back out to you and says, Hey, got your package. It’s in great shape. Thanks. Do you want to refund? Do you want a new size? Most of the time, 20 to 30 days after you’ve emailed them initially. And by that point most customers are saying, just give me my money back or they don’t respond in the merchant would just issue a refund. So that process, you know, Chubby is as in. And I don’t want to show too much a specific customer data. I should have probably asked first, but thousands of returns a month and I’m just the operational overhead associated with that three full time employees in San Francisco to just handle returns and exchanges. So they said this is not sustainable as we scale. We got to automate it. Here’s how we think we can do it. And then customer experience 25 days on average before the customer gets a new product or refund launch v one, cut the man woman power down to one hour a day for one person and cut the full return cycle time down from 25 days on average to six days on average. And this is, yeah, this is three years ago. So can you walk me through how that product experience looked for the customer? Why did you know you needed to raise money? John Trying to run two companies. This company had taken on some debt and trying to figure out how to commercialize without making too much progress. A function of trying to do too much and yeah. So we need to get out of that. And then we needed capital to support the team while we built our first integration on shopify. So we couldn’t work for nothing for much longer than six months, any of us personally, and we knew it was going to take a little bit more time to build v one on shopify and actually start making revenue. So new we need to raise money. Started combing through chubbies data and found this like golden nugget that became really like the thesis for our first investment round, which was, hey, we can put an experience in front of customers that will shift refunds to exchanges. And it’s like, okay, yeah, cool. Like, so what? I think that was even chubbies first reaction, they’re like, okay, yeah, I mean that’s cool, but I’m like, let’s, let’s get the unit economics on a return to inform how impactful this can be for your business. So you’re like, okay, let’s, yeah, let’s go through the costs. Amazon now shifts consumer preference and everyone else has to follow free shipping, free returns. Now they’re investing in ease of returns. Uh, there’s a lot of stuff happening we’ll talk about, but yeah, so Chubby is pays it to get it to you, they pay to get it back. They have third party costs, warehouse receives a return, they charge you three bucks to qc it, quality control, and then there’s a cost to restock it. You lose packaging, you lose a ridiculous percentage of product to damages, so every time someone says, Hey, I’m going to order $80 worth of product, and they send it back, it costs chubbies $14 times, however many returns times a pretty high percentage of returns that are refunds. So shifting those two exchanges, you recover the cost of the return and then you actually make some margin on it as well. More importantly though, all these nate digitally, native brands are paying a lot to acquire new customers through facebook, instagram, Google. So you acquire a customer. Let’s say you pay to get a thousand impressions if you’re lucky, you get 100 of those customers to your site, people to your site. If you’re lucky, you get 10 percent of those people to purchase. You pay for a thousand impressions, you get 10 purchases, and then you, let’s say three of them were needed to return something and the opportunity to get new product in their hand. And get another impression and potentially build a lifetime customer versus a one and done. That’s very meaningful as well. So when we saw we can shift refunds to exchanges our hypothesis still is like 40 to 50 percent for Chubbies, the bottom line impact is pretty insane. So that was like, okay, automation, Better Experience v One v two, let’s get new product in customer’s hands, new impressions, retained revenue. That was has been our story. A Lot’s happened in the last six months. Jay, I think your previous. Some of this just based on our conversation a few weeks ago, but a lot of things moving. We are. We kind of own a very important interaction point that I think will end up becoming a very, very, very interesting v3 of this product. And we’re already at the point with V2 that if we get on a demo and we show it to a merchant, we show them the value. It’s rare that they don’t want to use loop. And other thing we’re really fortunate about. So what does your customer base look like right now? Because it started off as this kind of chubbies Beta and now we’re on V2. How many merchants are using loop? The big challenge was can we take this thing that took six months to build for trolleys and can we take it down to a 30 minute setup integration and deliver the same amount of value actually compounding value because now we’re adding features that are immediately available for our whole network. So we launched a Beta with our first customer of the new integration in August and have just been onboarding merchants on a rolling schedule since August. We’re able to lock down a partnership with shopify, which we will announce at the end of the month as kind of our launch point. Um, and we’ve onboarded around a hundred brands through the pilot and some really meaningful things. Just the last few months we launched our first international version of loop, um, for one of our customers allbirds. We actually migrated chubbies from this custom built and that had tons of custom features. Three years of investment. We migrated them from that to our new APP and instantly saw a massive shift away from refunds, which was so cool and they were really stoked about. We launched a bonus credit feature with chubbies and saw a huge reduction in refunds as well and like it’s still, we’re kind of in the low hanging fruit are still in the low hanging fruit face can launch a feature and see 10, 15 percent shift, so that’s. We’re really excited about that. We’re really excited about some of the new product opportunities as well. But yeah, 100 hundred pilot customers, we expect this launch with shopify to be a huge source of inbound. So I did some research and just went on the shopify APP store and the most reviewed product that you just type in returns is the shopify standard returns thing. It says it’s free, it has a little free banner and you guys are charging I believe, $99 per month. How did you come up with that price point and can you just speak to the competitors in the space? Yeah, increasingly competitive space. Had this been an integration three years ago, it would’ve been a different ballgame, but it wasn’t, and it’s gonna make us better to have competition and I mean it’s good competition, well funded and well run companies that we need to. There’s room for multiple companies, but we really want to win this thing interesting with the APP store. So if you to segment our customers, really two sides of shopify now, if you’re like chubbies and allbirds of the world, uh, that are on a product called shopify plus, then you have the broader shopify ecosystem. They’ll download, never talk, you know, download from the APP store and never talked to you. Start using the product to lower volume. We reached out to like three or four in our pilot of those lower volume merchants and charge them 99 and then went back a month later and said, do you believe it’s worth the value? Absolutely. Hands down their sticker shock in the APP store though. And we learned, um, it’s, it’s intentionally high. We’re still six people. I do all the customer support. We don’t have the bandwidth to support a huge influx of low volume merchants right now. We will this summer. That’s. So that’s our major initiative is optimized for the APP store. We had to be listed in the AP APP store to sign this partnership with shopify, so it’s more of just like a marketing piece now we’ll, we’ll focus on acquiring organically through the APP store this summer. Similar vein of a question, uh, you mentioned that some of these companies that are well run, well funded, what is your competitive advantage in terms of what you do uniquely that these guys can’t, or how do you fend off these competitors ? Can you speak a little bit more to merchant experience in a B to b with SAS offering? A way to differentiate is to just delivered great merchant support in the same day. Turnaround time, resources, tools is something we want to focus on heavily. The way we solve the problem is different from our competitors. We have a much deeper integration with shopify. That ends up being a better user experience for the customer and actually a better merchant experience from like reporting and backend perspective, so we’ve been able to validate the product is very sticky. We haven’t had any churn today and merchants are using competitors products. We’ve been able to validate that they like loot more so we just need to really focus on selling. I think the product is there, which is awesome. Now we’ve got to figure out how to sell it and get distribution really fast. It sounds like from the way that you describe the loop returns product, you are extremely customer focused because almost everything that you’ve mentioned in terms of a metric has been how does it help the customer? How does it help the company? What pain points is it solving? Are there any kpis for our audience? Key performance indicators that you look at more on the internal side? Yeah, so embarrassingly we have not had much time to measure and iterate based on Kpis. It’s something I’m honestly ashamed of because I, you know, I have been a product manager and that’s. I mean, that is core, but things have just moved so darn fast over the last year. We know what those kpis need to be, but we have not had the time to build the framework and, and we’ve, we’ve mindfully made that decision and prioritized other things. Very, very important with our formal launch that we build that framework and we iterate based on the data we’re getting back. What do you think some of those kpis will be? Yeah. So it with a B to b to c product, you have to define what are your values as a company and I think taking a long term approach to what experience are you optimizing for? Um, for us we need to be the advocate for the end user which can introduce conflict with the merchant, but ultimately we believe if we optimize for the customer, the merchant benefits. So our two major KPIs are nps, so customer experience and retain revenue. And where this becomes really interesting is what if you release a feature that cuts down retained revenue but increases customer experience. So one thing that I think is very important is to actually define a value function, something that and and something that you plan to live by. So you know, we’re going to put this much weight on customer experience. That is 60 percent of the equation in 40 percent of the equation is retained revenue and this is how we’re going to quantify that variable. And then we’re going to plug this in as a, you know, a, b and say, okay, customer experience went up a ton, retained revenue went down, maybe the b option, retain revenue goes way up, customer experience goes, you know, hopefully you’re always doing these things in sync. Sometimes you’re not. And defining that, sharing that with merchants, really important. That’s, that’s what happened with Jack threads, right? You guys basically shot up the nps but the retained revenue went down because returns one way through the roof. Yeah. And we, we, we, we cloned it, ended up integrating with them. We just learned a lot about how they were doing it, but yet nps went through the roof but cost and it wasn’t sustainable. I like what you’re saying about customer experience being so key to you guys because what I read a lot of Ben Thompson stratechery, I don’t know if you get that newsletter, would highly recommend something he talks about the reason that Amazon continues to win. It’s because they lead in that customer experience. Right, and that’s what squeezing these retailers and something he’s said recently that I thought is so such a great insight is that you can’t overshoot on customer experience. You can never over deliver on customer experience. It’s always a moving goalpost. I think a Jeff Bezos said in his last earnings call that customers are divinely discontent because they always just want more. So this podcast is all about startups outside of Silicon Valley and with the kind of history you walked us through, you went out to San Francisco, you looked at becoming a venture capitalist. You said you had some offers. Then you came back here and then you went and built a company and then you built a company and that seemed to be the hurdle that you need to jump over to go back to San Francisco and be that associate, be that investment kind of person. Why did you one stay in the space and to stay in the geographic space? Yeah, so admittedly coming back to Columbus was happenstance and was not a, hey, I want to build a company in Columbus it was. There’s an opportunity in Columbus. There’s a great team in Columbus. There’s, yeah, there’s an opportunity here. So what I’ve found though is there’s no. There are no hurdles to building a company, a great company in Columbus. I. It was interesting. I was at an event that Jay invited me to a few weeks ago and one of the most common things that popped up was how do you raise capital outside of the, how do you raise capital outside of Columbus? And the answer is you build a great company and you can build a great company anywhere. And I think there’s some introspection that’s really important with, you know, if, if, if you can’t attract investment, you might not be building the right company if you need investment in investments not a precursor to building a company but yet happened, stands to be here. We haven’t been super active in the Midwest jet. We hope to change that. We think it’s really important. Most of our investors are on the west coast, New York, but yeah, I love that we’re doing this here, but it wasn’t like an intentional intentional decision. You mentioned earlier that you wanted to get back to you talking about kind of the angel investors you had and the advisors you had on board and how important that is. Can you just speak a little bit to that in the context of where you are and you mentioned that your investors are on the west coast and east coast now. Think chubbies there’s some have some advisors may be on your board, so can you just speak to that a little bit? Just the importance of the investors we’ve brought on so far? Two questions and they may relate. So I’m going to give them both at the same time. How big loop returns could be, how big is this market, what is the pilot you’re chasing, and what does the future of ecommerce that you guys are building against look like in the next five years? Ten years, whatever, whatever you’re seeing coming down the pipe. Something I think is really interesting. The Internet has given us the opportunity to democratize the creation of information and also democratize the distribution of information. The thing that’s really interesting about it though is that while we have that capability and it’s, it’s. It’s profound. I mean you had newspapers, a few select newspapers that were distributing information before and what’s really interesting though is even though we had that capability, the Internet kind of expanded out information from all these different channels, all the different sources, but then constructed again and now we’re only getting information from a few channels so the infrastructure’s there to democratize it, but we all end up just focusing on a few channels because of ease, efficiency, experience. It’s easier to get information through my facebook feed than to go and comb through sources. It’s just path of least resistance, which is a really important theme. ECOMMERCE. The same thing happening. Democratize the production of product. ECOMMERCE has. Anybody can create a product. I have all birds on. These were made from trees. It’s the coolest thing. It’s not Nike. Whatever they offer at the mall, I mean the barrier to entry with brick and mortar with these majors, sears and Marshall fields so high, so hard for somebody to say, Hey, I’m going to make shoes out of trees and sell them direct to consumer. So production of product, selling of product, distribution of product to consumers democratized. Anybody can start a company and produce logistics, warehouse, manufacturing, storefront for components, but also we’re getting sucked into this Amazon effect. Ease of use, efficiency experience. So I’m only going to shop on Amazon. So shopify knows they need to democratize the building of ecommerce to compete with Amazon. So they’re leveraging partners like us to build solutions and times 2000 partners and and taking a platform approach. So what will be interesting in the next decade is, is the whole ecommerce market going to get sucked up by Amazon and is Amazon just going to actually become the product, internet or. And will everybody have to build on Amazon to sell or will shopify and bigcommerce and squarespace, you know, will these channels still exist? And I don’t know the answer yet. What I do know is we have to work really hard to solve a pain point as quickly, if not more quickly than Amazon and equip non-amazon Amazon sellers with that technology to compete with Amazon for customer consumer preference and customer experience. Does that make any sense? Yeah, definitely. You’re basically saying that there are a couple of competing futures ahead of us. One where Amazon is the one and only platform that brands are building on top of to sell their goods and another where they’ve got infrastructure to compete with the infrastructure Amazon as a platform would be providing. real quick autonomous vehicles, is that from a logistical standpoint? Absolutely. So logistics is such a high cost and brick and mortar that the highest cost with logistics has last first and last mile, getting it from your regional distribution center to the customer and then returns to the customer from the customer to the regional distribution center. Last and first mile costs with brick and mortars incurred by the customer. ECOMMERCE merchant has to pay for it. How do you get, you know, drop off points and all these other things like, yeah, it’s, it’s novel, but at the end of the day, customers want things delivered in their house and they want to be able to leave a package and say, take it back to Amazon and gives me my refund. That’s the best Bayzos best customer experience. So that has to happen through autonomous vehicles. Um, otherwise the cost is just gonna remain astronomical. That’s how Google or Amazon wins. Commerce. Commerce is shifting online. Google’s threatened 65 percent of product searches, 70 percent of product searches are originating on Amazon now, so google is going to be impacted. Google needs partners like us at the end of the day, shopify, to kind of compete with this Amazon shift. The way you’re talking about this is like almost prophetic is, are these, it’s on it. Think about Jay, are these one off brands as aware of these competing futures as you are or do you see that you’re looking around a corner and you kind of have to help preempt and worn these different players? Um, both Amazon launch try before you buy an August select markets. Uh, our scaling it now nationwide, the turnaround time from a Beta with a big company like this to scaling nationwide is insane. Amazon’s just so good and so hard to compete with. Necessary evi Adidas, Calvin Klein, Hugo boss, all these massive brands are now going to be selling through Amazon for try before you buy. I don’t think they have any idea how much it’s going to hurt their direct to consumer channels. And if they’re not careful, they will be completely dependent on Amazon long term. So I think they know, but I don’t think they know how significant this could be for them and their dependencies if they’re not careful. All right, Corey Corbett, thanks for joining us. That was awesome. I wish we had more time because I would love to dive into more of that. I feel like we could have talked for another two hours. That was fascinating. Yeah, I’m here guys. Anytime. Cool. Well, uh, for the listeners, thanks for listening. If you have any thoughts for Corbett tweet at us @upsidefm or email us hello@upside.fm we’d love to hear from you. We’d love to get a review on itunes. If you love the show. Corbett, last thing, if the users want to follow you or find out more about you or loop, where should they go? So linkedin is my, is my single channel, just Corbett Morgan on Linkedin and then Corbett@loopreturns.com, Corbett, and would be glad to get emails from people that that happened to listen to this. All right eric. 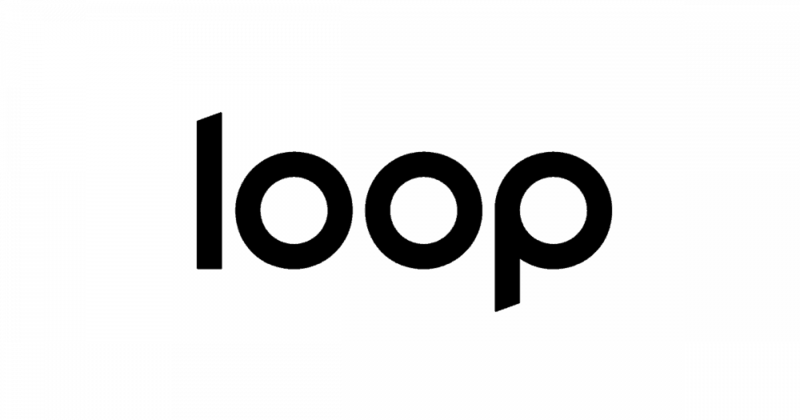 So we spoke with Corbett Morgan, the CEO of loop returns. We are now back in our respective homes to do our third segment of our show here. Can you explain for the listeners of what we’re about to do here in this third segment? Yeah. First I just want to mention Corbett just such a smooth talking dude. He’s got like such a good chill level tone voice. It kind of stuck out to me as just a really chill dude. I liked that about him. I think the beard adds to it as well. Yeah. He’s got a real playoff beard happening right now, which is not normally his thing, but it’s big. Yeah, it’s aggressive. But here in the deal memo, what we’re going to do is we’re going to think about that research that we talked through in the upfront and think about the questions that we asked and the answers Corbett gave in the interview to kind of crystallize our thinking around whether or not this would be a good investment if we were hypothetically a venture capital firm, specifically an angel fund. And the reason we would do this is to both understand for ourselves why we are making an investment, what we like about the company, the upside, what we’re a little cautious about the company, the downside, and to communicate that to hypothetical investors. Jay, did I miss anything? I think you’re right on this is this is an internal calibration mechanism for Eric and I and it’s going to be really fun to look back on these notes. We have six to 12 or 18 months from now and say, okay, where’s loop returns now? Based on what Corbett was looking ahead and to do, are they achieving those goals? Are they exceeding those goals where the shadows that we saw something that uh, we were correct with where they were they sharks versus turtles, but yeah, I think, I think you’re right. And so we have four questions that we are trying to gauge the answer to in this section of the show. The first being how committed is this founder? the second being, what are this founders chances of success in this business and in life? third being what does winning look like in terms of revenue and my return ? and the fourth being why has this founder chosen this business? And so we won’t necessarily speak to all those explicitly, but that is what we’re trying to get a good sense of because that will guide our feeling of this opportunity. So, Eric, where do you want to start in talking about Corbett and loop returns? Well, I think it’s fun to analyze those four questions kind of holistically, right? We care so much about the founder and I think that’s where we should start. So let’s start with Corbett. Let’s start with his process of getting to getting to loop returns. What did you think about that? I mean, he really laid out what seemed to be, I think he even called it a destined match of him and loop returns based on his background going from I want to be an investor. I want to be an investor to, okay, they’re telling me I should start a company. Let me go learn product, add a couple of places. He worked with death to the stock photo in products that he moved onto Klarna, which is where he really cut his teeth and learned parts of ecommerce at Klarna. He saw what try before you buy could do for a customer, but also the threat posed to the retailer that was offering try before you buy and saw based on that customer impact and that customer experience that could be had that there was an opportunity for major retailers approached John Poma of rocket code saying, I want to pilot this with chubbies. John says, here’s software we built related to returns for Chubbies, and it pulled it all together. So to me that whole story was very cohesive. It was clear to me why he was attracted to that opportunity because it has already thinking about it and it was this great intersection of his experiences, his interest in just that point in time. Was there anything else that stuck out to you about Corbett? So I think that one thing and one reason that we asked the question how committed is this founder is because when you’re looking at it from a venture capitalist perspective or an angel investors perspective, you don’t want a early acquisition when there could have been more value extracted by taking that extra step. I do think that that story is completely cohesive. I think that that story lends a lot of insight into why loop returns started off on second base. To use a phrase that love that you use a lot. We use a lot here on upside and maybe that’s a midwestern thing. Maybe that’s a midwestern thing that we should kind of think about. Sorry, random aside, getting back to Corbett, his initial idea and his initial thought pattern was he wants to be an investor. He wants to be a venture capitalist. And my question about his involvement with Loop returns is if it hits it big enough to the point where he can say, look, I excited for and we’ll get to size in a minute, but let’s say 100 million dollars is, is this still part of the plan to get to being a vc and does that matter? I don’t know if it does. Yeah. And you talk to a great winning scenario or potential winning scenario of we want the founder to be committed if there’s an acquisition or an exit opportunity and they’re not thinking too small, but also when things get difficult, is this founder going to stick it through? And actually something we found out in the interview, Corbett doesn’t technically consider himself a founder of loop. He considers the three engineers, founders. He has a founder level agreement when he came into lead as CEO, which was really early on, but it does seem, you know, hearing from him and hearing how quickly they’ve had to move and how difficult things have been from a time crunch perspective. And then also from a fundraising perspective. That speaks to his commitment in my mind and also speaking to his commitment is the five plus year vision that he painted for us as where he sees ecommerce going and loops place within it. You know, you don’t hear voluntarily somebody sharing a five year vision that’s not committed and like really looking forward in my mind. Yeah, and I think that we spent a lot of time on upside. 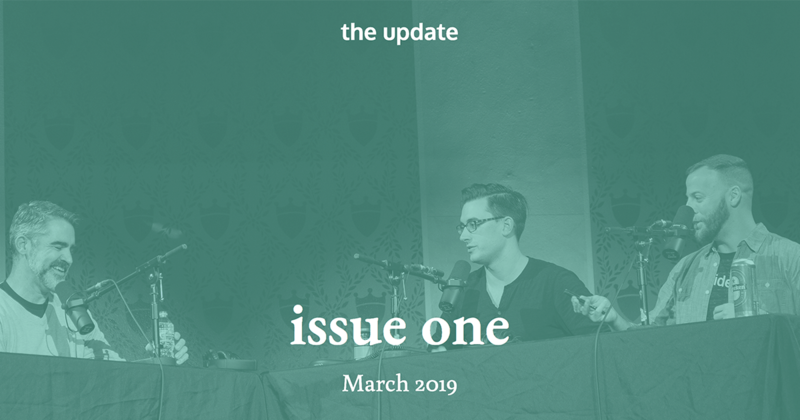 This is just a quick little note but an upside looking forward into the future because we’re thinking through the lens of an angel investor or venture capitalist, but it was definitely refreshing to hear about history. I really enjoyed that part of the interview when we learned about ecommerce in Columbus and you can tell that Corbett is a student of history because he was rattling off dates and companies and names and locations and key events and that was really interesting. He went back to 1994 and when SSL certificates were made possible and then saying, okay, then you had netscape, 95, Amazon and Ebay. Compuserve started the electronic mall at this date, like super awesome timeline and now he’s looking and saying, this is a, this is a really interesting time in ecommerce where Amazon is leading on ease of use, efficiency and experience, and if we don’t help democratize that, again for the distribution of small retailers, these retailers are going to end up relying on Amazon for try before you buy, which is going to end up really impacting their long term viability as companies really, really almost dire outlook that a lot of these companies may not even be aware of right now. So let’s kind of pivot from the founder for a second to some of the numbers and I’m going to lean on you for the numbers this time. It’s going to be fun to hear about. What are you thinking in terms of what can this look like in terms of size. Yeah, that’s a good question. The retail ecommerce industry as a whole is huge in all of these companies need to deal with returns, right? It’s something that nobody really likes to talk about. No one really likes to deal with. It’s almost like a check the box type of thing for for these companies, can we handle returns and when Corbett was talking about even V2 of the software and they’re working on v3 now you to have the software, if you get the demo in front of one of these companies, it sells itself. When I say we want to use loop, he says we have the $99 per month Beta out there. Every customer who’s used it says yes, that’s the worst worth the $99 in an increasingly competitive space. So I think, you know, this always comes back to how big is your fund and what are the economics of your fund that you’re investing based on how big the opportunity has to be. Yeah. To me it sounds like a pretty big opportunity in returns alone and he’s talking outside of returns. She’s talking to logistics and the future of autonomous first mile, last mile, exceptional returns experience. I’m looking for my notes. Okay, so I’ve got $400,000,000,000 market size with a return rate of 25 to 40 percent in ecommerce, eight to 12 percent in store return rate. So you know, to me market size is huge. This is an increasingly competitive space. He said that they are competing on product architecture and merchant experience, which I like that. I like that view because again, he’s serving a couple of customers. Right? He said he ultimately has to be an advocate for the end consumer but also needs to make this something that the merchant is enjoying and what I really liked was his talk on their Kpis, their two kpis, the first being nps, net promoter score, the second being retained revenue and acknowledging that those things can be at odds at times with with each other based on certain product feature releases. Do you have any thoughts on his kpis or anything I missed on the market size? and a couple more numbers that he gave to that case study with the Golden Nugget that I referred to as shifting returns to exchanges. Example he gave was that $80 of returned product costed the company $14, 88, the cost of $14 to return $80 of product. Whereas if you shift that $80 to an exchange, they not only cover the reverse reverse logistics cost, but they make a little bit of a margin as well. So that’s really big. If their play is helping to shift returns to exchanges and on the merchant experience point, What made it a little bit ago said v one of the product which is three years old at this point, cut the manpower down to one hour a day for one person to deal with the back end exchange logistics. Where previously it was three full time employees handling that all day and also shifting the entire return cycle from 25 days to six days for the customer experience, so they’re on a good path for achieving both merchant experience and end user experience to be very positive. And seems like that is exactly what Loop returns could be as they continue to grow and if they become that app that as an ecommerce site you have to be signed up for because the ecommerce economics just don’t work like shopify does. Right. Before shopify, ecommerce was so much more cumbersome because you have to charge such higher margins. If loop can become a shopify platform where you have to use them for your returns. Otherwise, it just doesn’t make sense for the new ecommerce business model. That kind of upside is incredible, but I think it is, and I want to get your thought on that in a second, but I think it’s kind of using a bad cliche, a double edge sword because the easy way in right now is through more of these chubbies kind of deals where they’re customizing for a specific large company. There’s an interesting balance there. Well, the scary thing to me about the opportunity with loop, the real shadow that I see is their business is predicated on shopify. They’re predicated on a third party software and that is risky obviously from the standpoint of if shopify just sees what they’re doing, the way that Amazon does something similar with us retailers and they see this is working and we know that it’s working. Let’s let’s make our own version. Shopify obviously is strongly capitalized, has a lot of engineering talent. Who knows what they could do loops, business model on some period of time if they wanted to change it. The common returns APP, if you could build that outside of shopify is ecosystem. Could be powerful and good for them long term, but it’s hard to say. It’s hard to say, how do you continue to grow? This isn’t the first company have talked to this f13. Was this this case too? How do you grow a business that’s dependent on a third party platform? What are the real risks? How do you hedge those risks? We didn’t have time to get to that in the interview, but I’m sure Corbett has it top of mind. Blitz all night. I don’t want them to gain another yard. I think that it’s really fascinating because I didn’t know that the ecommerce environment in Columbus was so robust and it is awesome to see these kinds of companies just kind of lurking around Columbus and not being talked about as much as maybe they deserve. ecommerce invented in Columbus. Something that he mentioned, a founder dinner here in Columbus where he said that kept coming up. How do you raise money outside of Columbus? And his response was, you build a great company and we’re seeing that. We’re hearing that answer from founders all over the country. You look at beam, dental and other Columbus company here. Just raise from Kleiner Perkins. Kleiner doesn’t invest outside of the valley much at all. So we’re. We’re starting to see the tides shift here. Or do they or do they? I Dunno. Is there anything else we’re missing here? We spoke to how committed this founder. Why is this founder chosen this business chances of success in this business and in life. I think if it just about everything. What are you excited about for loop returns in the next six to 18 months? What are you looking for? I think he mentioned this summer they’re going to attack the shopify APP store a little bit more aggressively and I’m really excited and if six months from now, so I will put us in November, December what the reflection on that attack looks like because if they can expand very quickly and they can justify that $99 per month, they might be able to be less reliant on the next chubbies. Whether that’s all birds or it’s swannies or it’s whatever other big kind of like that. A little plug for swannies in there. Yeah, we got swannies again. Got 13. We’re hitting them. Yeah, the whatever. Whatever the next big integration that they would have to do is if they can kind of de leverage themselves from that and have a more diversified user base. I think that might be good for their ability to move forward quickly with maybe some of the longer term vision things that they have in mind. Yeah. He mentioned that they have a emphasis on optimizing for the APP store so they can handle an of these low volume retailers he mentioned, but as we like to say, low volume retailers like crumbs are also bread. Do we like to say that or is that your new quote? That’s my new quote. That’s what I like to say. Crumbs are still bread. What about you, Jay? What are you excited about in six to 18 months As we look back on this, What do you want to think about? I can see that Corbett is very curious and excited to dabble in the logistics space and so I’ll be looking back a year, six to 18 months from now and seeing what has he done a dip his toes into that space and what have they learned from those things and how has that changed loops, overall outlook in business model. All right, well that’s it for this week. We’ll be back here next week. If you guys enjoyed the show, we’d love to hear your input on loop returns and what you think of Corbett’s business here. Tweet at us @upsidefm or email us Hello@upside.fm. We love reviews and ratings on itunes on the show, and it helps us a ton. It helps us bring in good guests. If you’re enjoying this, please, please go over to itunes and leave us a rating and a review. We’d really appreciate that. and I’d also like to mention breaker are preferred podcast listening APP. If you comment or like on breaker, Jay and I will be there discussing the episode and answering any questions. Look forward, interacting. Love it, love, love breaker as a social podcasting APP. All right, Eric, I will talk to you next week. That’s all for this week. Thanks for listening. We’d love to hear your thoughts on today’s guest, so shoot us an email at hello@upside.fm, or find us on twitter @upsidefm. Will be back here next week at the same time talking to another founder and our quest to find upside outside of Silicon Valley. If you or someone you know would make a good guest for our show, please email us or find us on twitter and let us know and if you love our show, please leave us a review on itunes. That goes a long way in helping us spread the word and continue to help bring high quality guests to the show. Eric and I decided there were a couple of things we wanted to share with you at the end of the podcast. Can. So here we go. Eric Hornung and Jay clowns are the founding parties of the episode podcast. At the time of this recording, we do not own equity or other financial interest in the companies which appear on this show. All opinions expressed by podcast participants are solely their own opinions and do not reflect the opinions of Duff and Phelps Llc and its affiliates Unreal collective llc and its affiliates or any entity which employ us. This podcast is for informational purposes only and should not be relied upon as a basis for investment decisions. We have not considered your specific financial situation nor provided any investment advice on this show. Thanks for listening and we’ll talk to you next week. Loop helps you retain customers through one of the most fragile interactions they’ll have with your brand: returns. By providing complete returns automation, in-line exchanges, and your own fully-customized returns app, Loop takes the pain out of returns for your team and for your customers. Corbett Morgan is the CEO of Loop Returns. Previous to that, he was a product manager for Klarna North America.